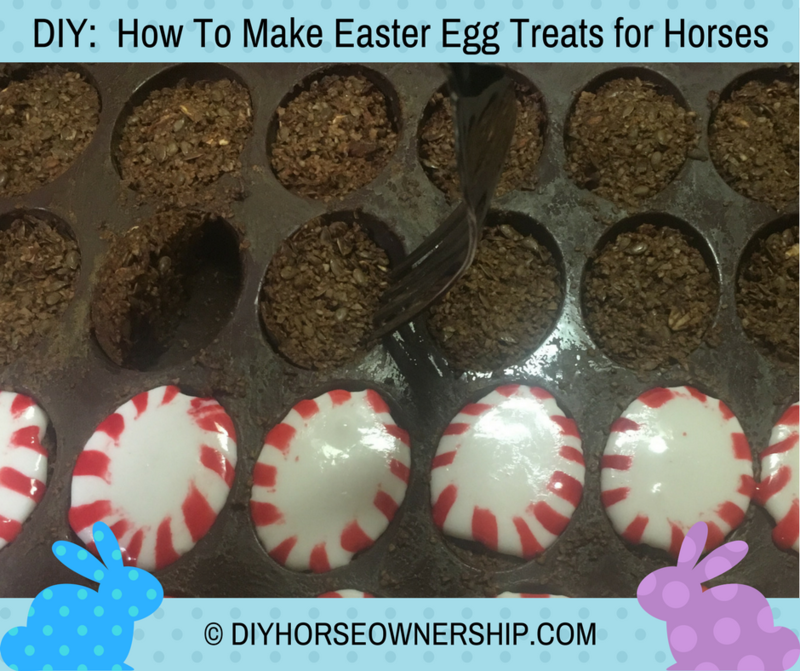 Easter is coming and I have plans for doing an Easter egg hunt with my horses. 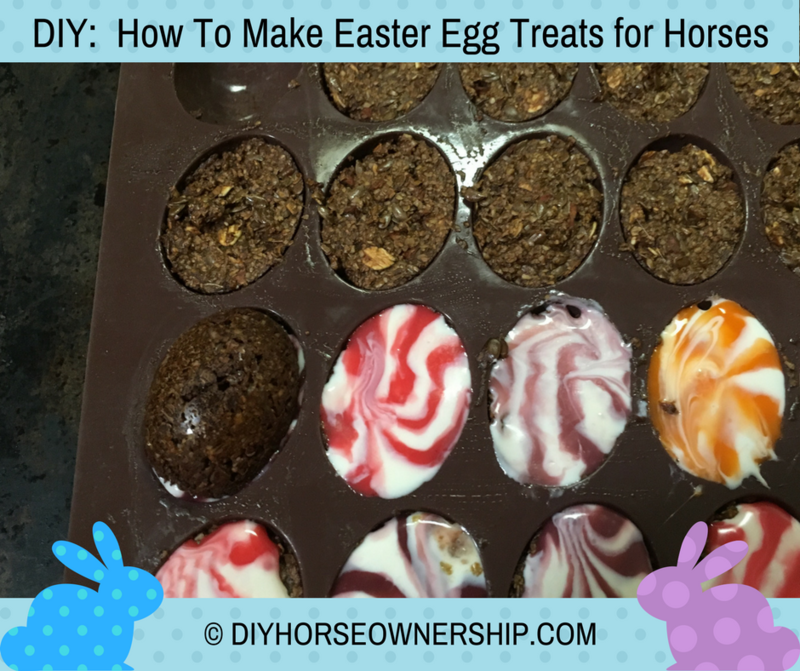 Since they’re not too keen on either plastic eggs or chocolate, I set out to make Easter Egg treats for horses. 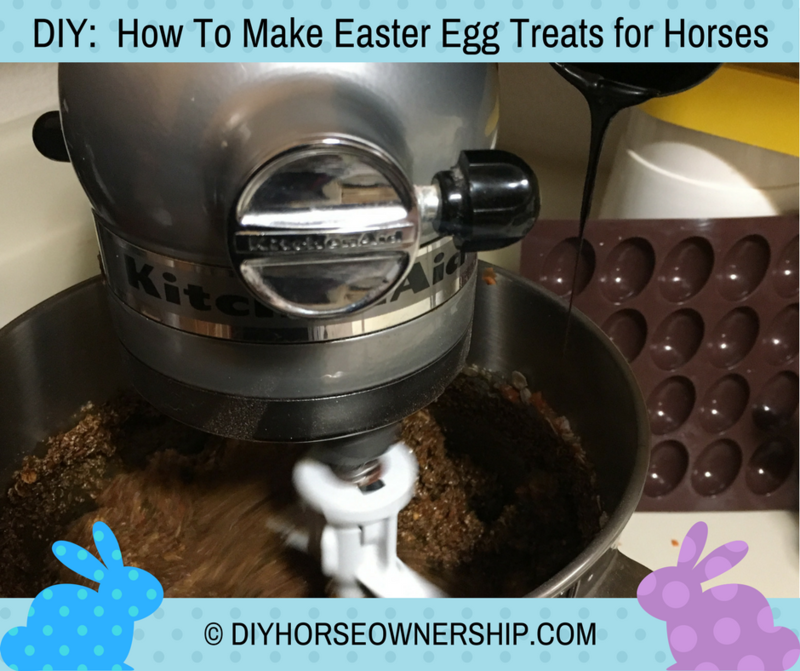 The other things you’ll need are a baking tray and a silicon egg-shaped candy/baking mold. I used this one from Amazon (not an affiliate link), but you could use another model. 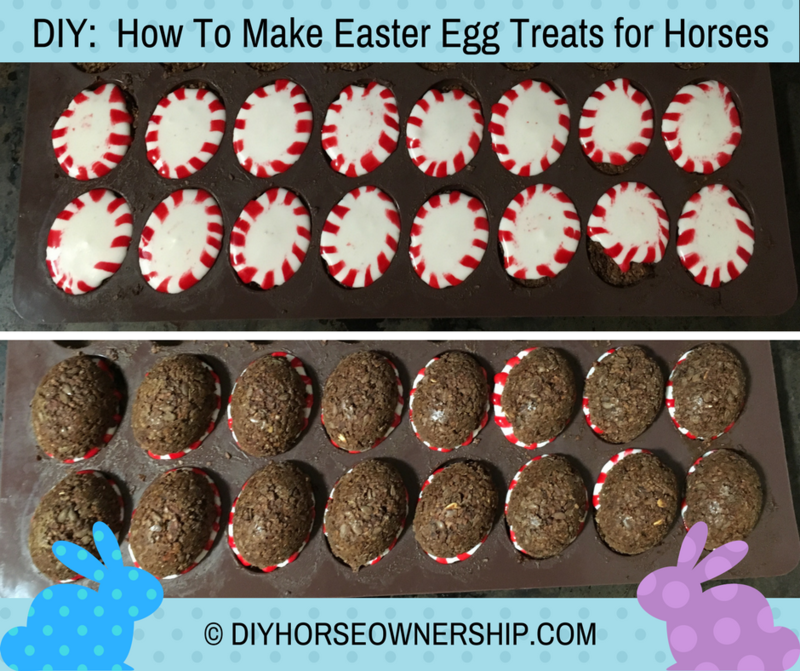 You do want one with smaller cavities (these are 1.6 x 1.1″) or else your treats will be huge. Pre-heat your oven to 300°F. 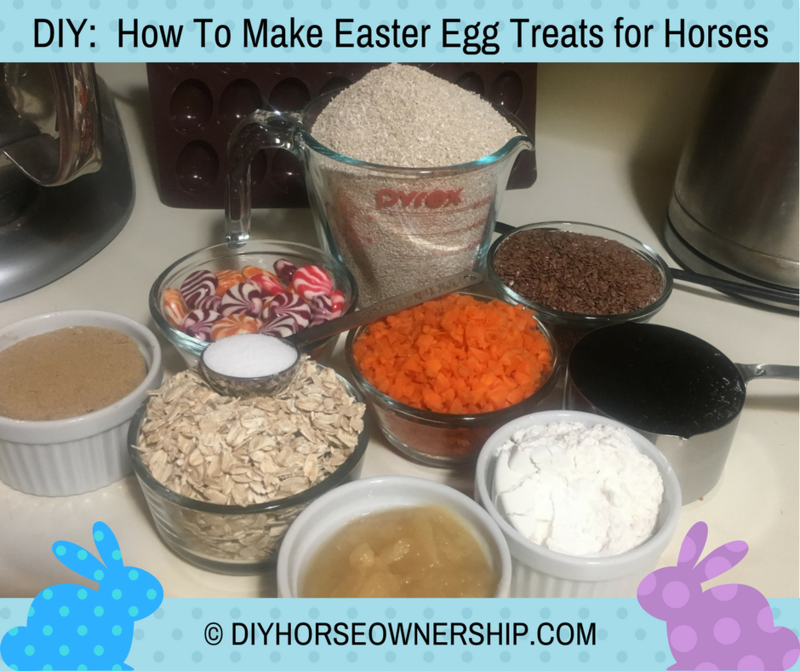 Combine everything except for the molasses and candies and mix together. Fill your mold with the mixed ingredients. Fill half of the molds completely full and level with the top or the mold and the other half slightly underfilled, but leveled out. I tried doing this with a spoon, a spatula, and a dough scoop and nothing worked so well as my fingers. Just get messy. 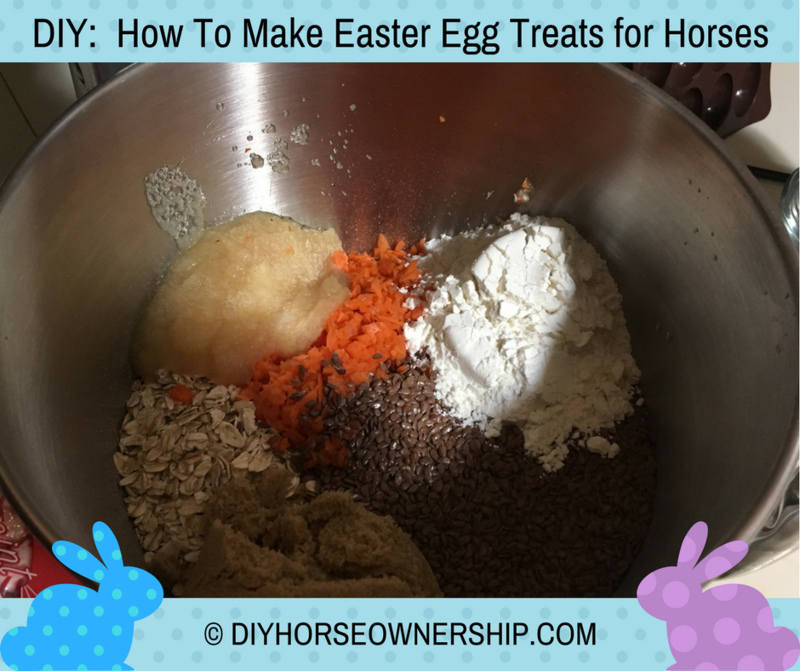 Bake for 50 minutes and then add one candy to each of the underfilled egg-halves. Return to the oven and bake for 10 more minutes and then remove from the oven. The candies will have melted to fill the cavities. You need to do the next few steps right away before the candies harden. 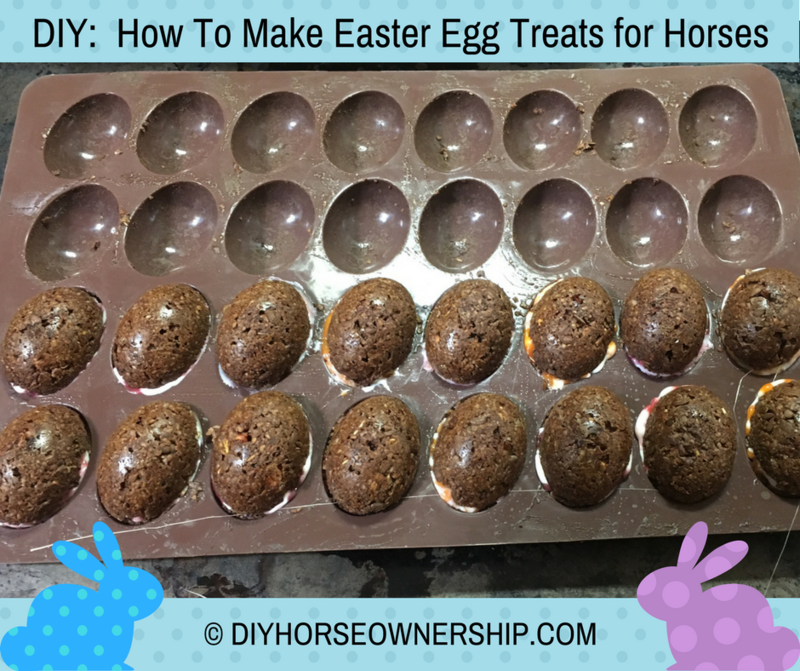 Using a fork, pop the full-sized half treats out of their molds. One at a time, place one on each melted candy half. 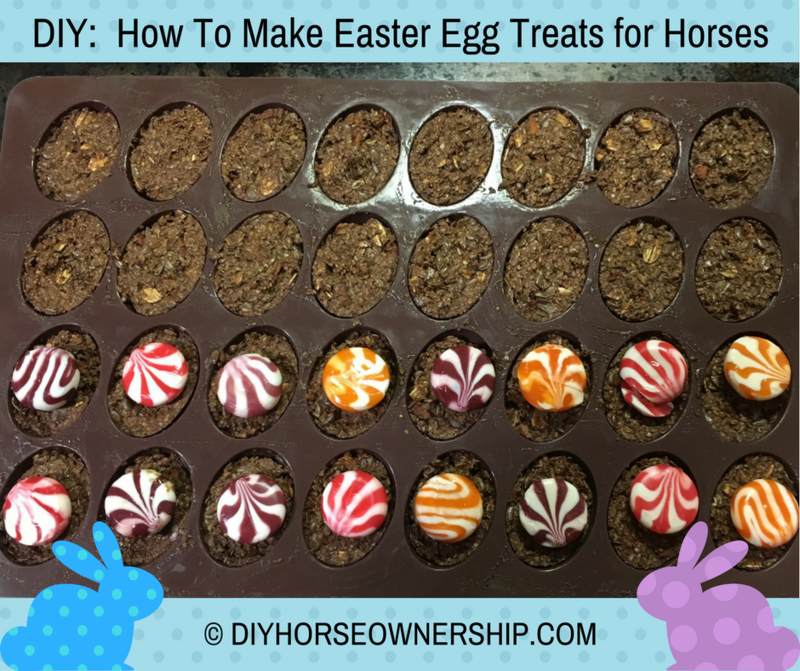 Don’t squish them too hard or the candy will spill out, but you’ll need to give each one a slight push down to get the halves to stick together. Repeat until all of the egg halves are combined into full eggs. I used the pastel colored hard candies for half the treats because their color seemed more thematic for Easter treats. However, Levi hated these. Of course, he’s very picky and still won’t eat apples either so he’s not a normal horse taste-wise. 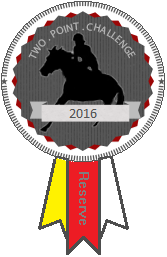 Every other horse (and mule) I gave one to loved them. Levi did love the ones I made with traditional peppermints and the mints actually melt and fill the cavities better anyway. 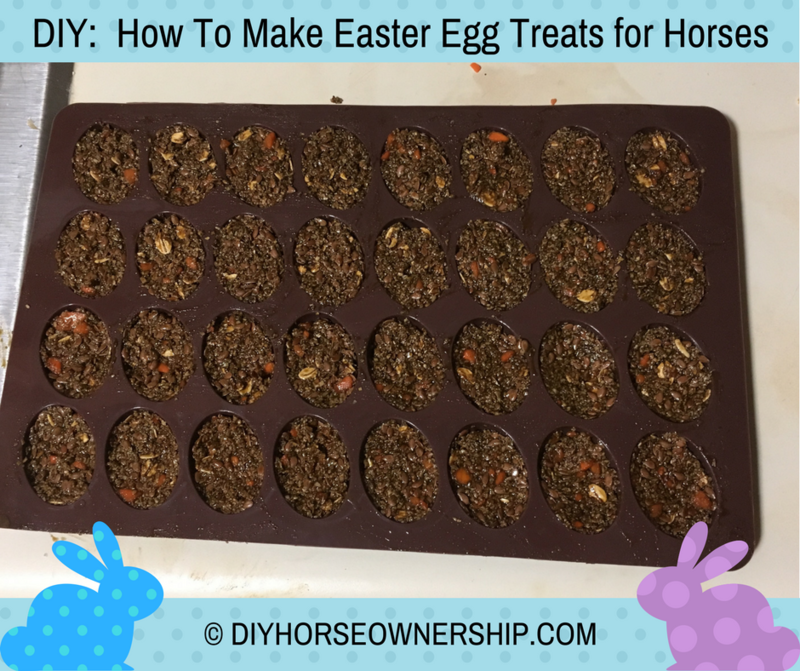 Let them cool for at least 20 minutes before popping them out of the mold to cool fully on a rack or piece of parchment paper. I let mine cool overnight before bagging them up. You don’t want any heat or remaining moisture stored in with them or they’ll spoil. 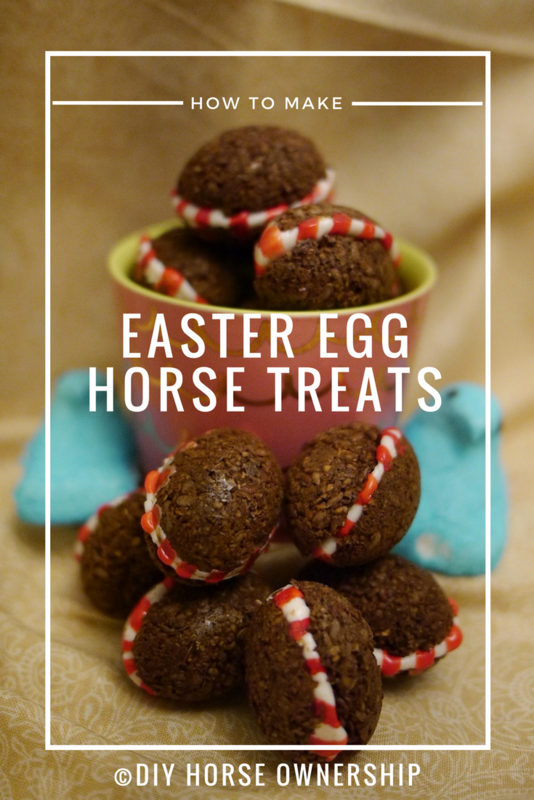 Your horse will love them. Mine were begging for more. 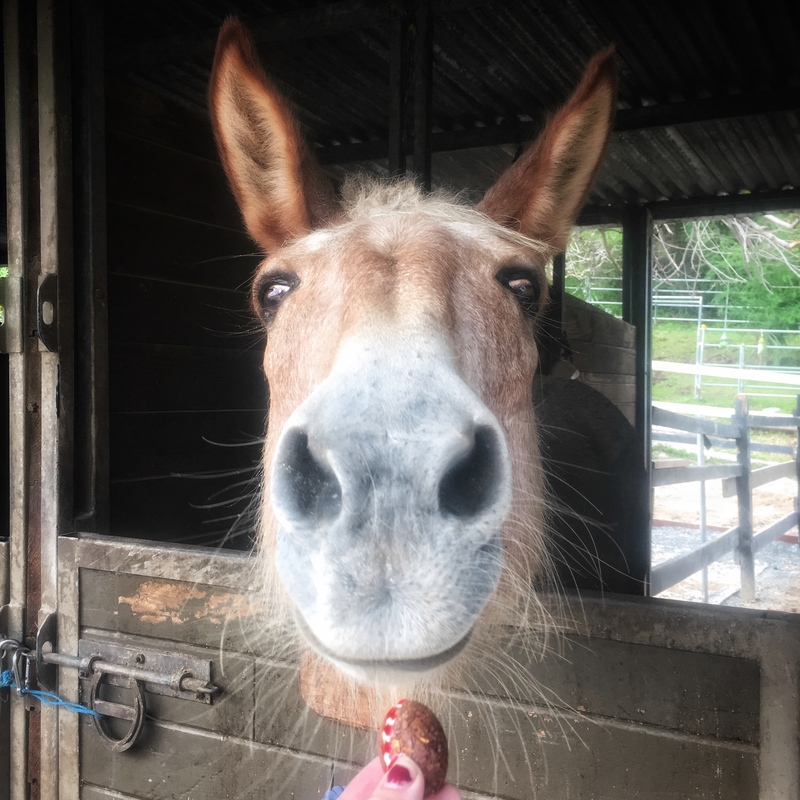 As soon as it stops raining, I’ll be doing an Easter Egg hunt with my horses which I’m really looking forward to. Stay tuned because there will be a contest. Now his is a DIY I might do. Those look awesome. Even picky Gem would likely eat them. These are adorable! I can’t wait to hear about this egg hunt. 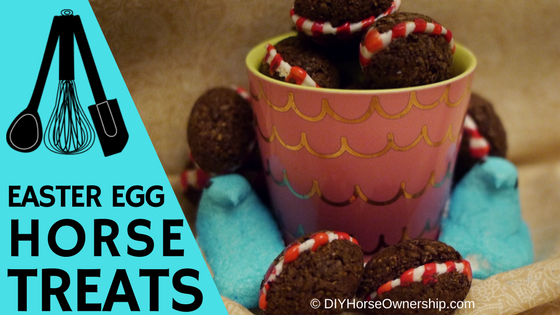 This is the cutest thing – I might have to make some horse treats this weekend!